CBD can be consumed in a variety of ways such as in pill form, vaping, gummies. Some of the latest research is pointing to the potential of applying CBD topically. Extracted from the plant’s stalks and seeds, hemp oil can be infused into topical body care products like balms, salves, lotions, and oils. 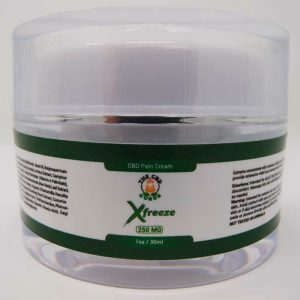 The benefits of topical CBD application are being touted as reliving some types of chronic pain, skin conditions, arthritis and other localized problems. Appling Cannabidiol directly to the source of the problem allows a faster acting solution that does not have to be ingested and sent through the digestive tract. Also a 2013 study published in the British Journal of Pharmacology found that CBD controls cell proliferation and differentiation, indicating it can be used in treatment efforts for skin diseases like allergies or cancer. Atopic dermatitis, also called eczema, has been shown to improve after treatment with hemp oil. Additionally, CBD can adjust the output of oils in the skin and hair and inhibit skin cells’ lipid production, making it effective for preventing acne. Topical CBD research is still in its infancy at present but the few studies that have been published show promising results.